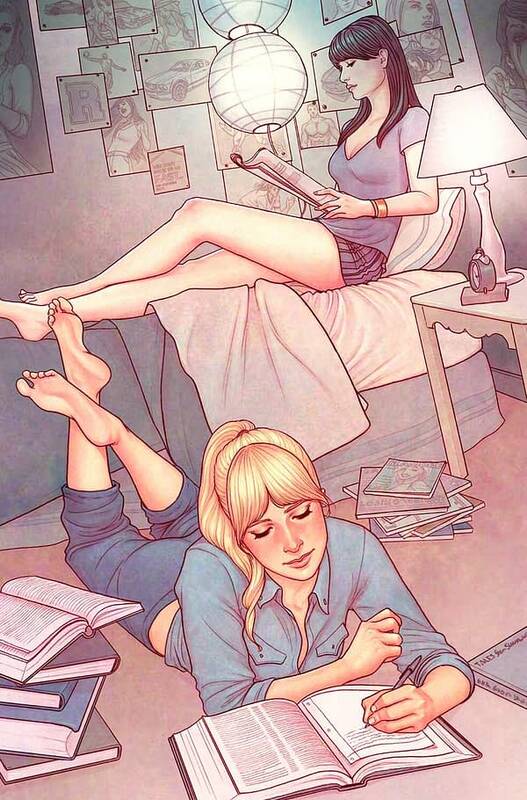 We have an exclusive first look at the Betty & Veronica #1 retailer exclusive cover by Jenny Frison for Dynamic Forces. There are over two dozen different covers for this issue so far because the hype for this book is huge. Adam Hughes writing and drawing the series has gotten a lot of people’s attention along with the successful modernization of Archie and Jughead already and the upcoming Riverdale TV series on the CW. The issue is set to ship July 20th and this retailer exclusive is priced at $19.42 in honor of the year Veronica made her first appearance in the comics. Betty first appeared in Pep Comics #22 in 1941 along with the first appearances of Archie and Jughead. You can pre-order the cover here. Will Nick Spencer Give Us The Black Avengers After All? The Super Awesome Comic Review Show: Deadly Class, Paper Girls, Old Man Logan, Green Lanterns And More!